" Shivaji did not belong to Maharashtra alone; he belonged to the whole Indian nation. Shivaji was not an ambitious ruler anxious to establish a kingdom for himself but a patriot inspired by a vision and political ideas derived from the teachings of the ancient philosophers. He studied the merits and faults of the systems of administration in kingdoms existing at the time and determined his own policies and administration in the light of that knowledge. A devout Hindu, he was tolerant of other religions and established a number of endowments for maintainig sacred places belonging to them. As a general he was undoubtedly one of the greatest in Indian history; he saw the need for and raised a navy to guard his coastline and to fight against the British and the Dutch. Pratapgad Fort build in 1656 stands today as a monument to his military genius. 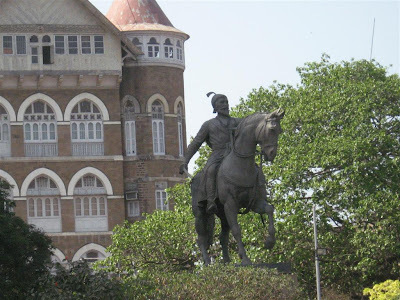 Shri Shivaji is a symbol of many virtues, more especially of love of country." Built in the Indo-saracenic style, the Gateway of India is meant to commemorate the visit of King George V and Queen Mary to Bombay, prior to the Darbar in Delhi in December 1911. The foundation stone was laid on March 31, 1911 and George Wittet's final design sanctioned in August 1914. Between 1915 and 1919 work proceeded on reclamations at Apollo Pier for the land on which the gateway and the new sea wall would be built. The foundations were completed in 1920. The Gateway is built from yellow Kharodi basalt and reinforced concrete. The central dome is 48 feet in diameter and 83 feet above ground at its highest point. The whole harbour front was realigned in order to come in line with a planned esplanade which would sweep down to the centre of the town. The cost of the construction was Rs. 21 lakhs, borne mainly by the Government of India. For lack of funds, the approach road was never built, and the Gateway now stands at an angle to the road leading up to it. The construction was completed in 1924, and the Gateway opened on December 4, 1924 by the Viceroy, Earl of Reading. Ironically, the last British troops to leave India, the First Battalion of the Somerset Light Infantry, passed through the gate in a ceremony on February 28, 1948. It is under renovation now hence the jute cloth covering part of the monument. 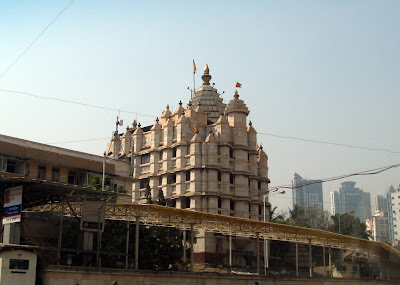 The Siddhivinayak temple is one of the most visited shrines in Mumbai. It houses the revered elephant headed Hindu god 'Ganesh'. It was built in 1801 and since then has fulfilled the wishes of millions of devotees that throng the temple. 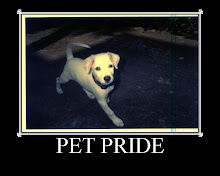 For more details about the temple click on http://www.siddhivinayak.org/templehistory. 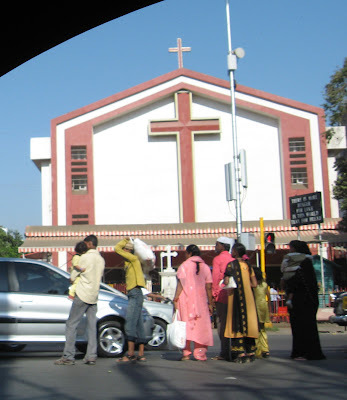 The St.Michael's Church in Mahim, Mumbai is very famous and people of all faiths come to pray there. It is believed that one can get almost any wish fulfilled here. It is most crowded on Wednesdays for the 'Novenas' that are held throughout the day in all the different languages of India like Konkani, Marathi, Hindi, English and others. This is the flyover outside the Atria Mall at Worli in Mumbai. It is one way, open to South Bound traffic in the mornings and North bound traffic in the evenings. We have quite a few of these one way flyovers in Mumbai due to the peculiar shape of Mumbai which is like a sausage. The business district is in the South and the northern territories are like the dormitory. The glitter of the Atria Mall - an outside view. The Atria Mall next to the Planetarium where you can go shopping and eating and generally be a mall rat if you have some time to spare before or after your visit to the Nehru Centre/Planetarium. In the lobby of the Planetarium there are these booths where you can check how much you would weigh on the sun, the moon and other planets. It sure is fun and informative. This is the Nehru Centre as seen from the Planetarium. It is also fondly known as the Pineapple building because of its design. It hosts a 'Discovery of India' exhibition which describes the various civilizations that ruled and shaped India. It also hosts various art exhibitions and many cultural activities. The Nehru Planetarium at Worli (Central Mumbai). On holidays almost all the shows are full so it is preferable to book in advance. The Nehru Planetarium at Worli (Central Mumbai). It has 4 shows a day in 3 different languages (Hindi, Marathi and English). Student groups sponsored by their instituion with prior arrangement @ Rs. 10 per person.